SPRINGFIELD – State Representatives Keith Sommer (R-Morton) and Mike Unes (R-East Peoria) this week introduced legislation calling on Congress to update the federal disaster declaration process, following FEMA’s recent denial of assistance to local governments in communities hard hit by the November 17 tornadoes. The disaster declaration process relies on a population-based formula to calculate what a state’s threshold is for federal assistance. Because Illinois is the fifth-largest state in the nation it has a much higher threshold than other states. But because the tornado outbreak affected primarily small, rural communities the damage did not reach the federal requirement, leaving devastated towns and villages to fend for themselves when it came to meeting the costs of the cleanup. 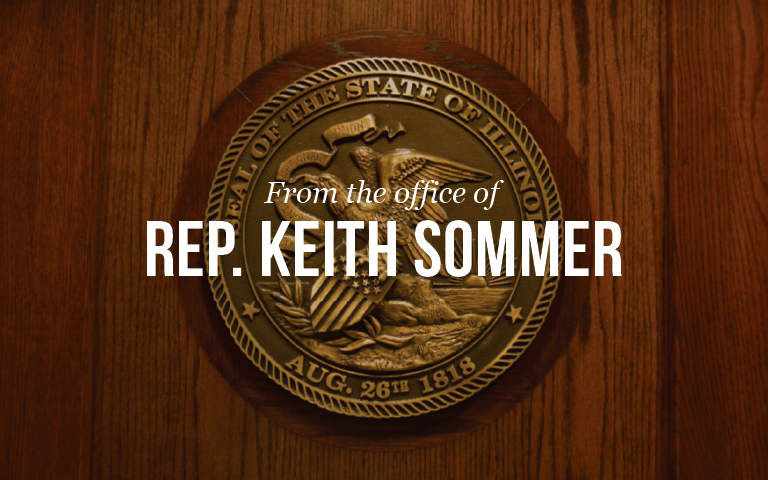 The Sommer-Unes legislation calls on Congress “to correct this outdated and unfair system,” by passing reform legislation introduced by the Illinois congressional delegation in January. Sommer’s district includes the city of Washington, while Unes represents Pekin and East Peoria. “This is a common sense reform to bring fairness to a process that we all viewed locally as being fundamentally unfair to our region,” Unes said. The Sommer-Unes legislation is House Resolution 922. Its full text is available at www.ilga.gov. Click “Here” to listen to Representative Sommer discuss the resolution.